Ana Mandara Resort is located in Thuan An Town, Phu Vang District, Hue, next to Tam Giang Lagoon as a picture. It is about 20km from Hue center city. 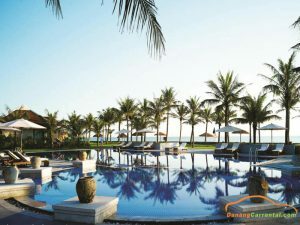 Ana Mandara Hue is the first luxury resort to be built at Thuan An Beach. Ana Mandara brings Hue’s ancient architecture combined with modern style with full facilities. The resort is built on an area of 2.8 hectares with 78 rooms and villas garden, luxurious and class towards the fresh blue sea. 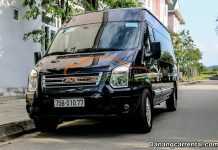 From Da Nang to Anna Mandara, there are many way to transfers. 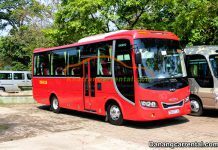 First of all, visitors can transfer from Da Nang to Hue by Car rental and then from Hue to Ana Mandara for visitors who want to visiting Hue Capital Ancient. 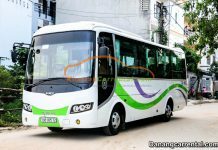 Secondary, visitors can direct transfer from Da Nang to Ana Mandara by Car rental. It is the best way and save time for visitors. 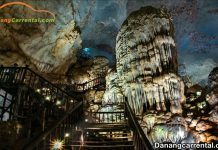 Ana Mandara is about 105km from Da Nang. 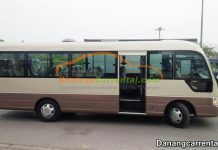 It takes about 150 minutes by transfer from Da Nang to Ana Mandara by Car rental. 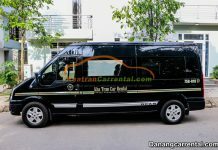 Da Nang Car rental offers Da Nang to Ana Mandara by Car rental to help visitors have most wonderful experiences. During the journey, visitors will go through the famous places, the luxury resort in Lang Co and delicious fresh seafood in Lang Co town. 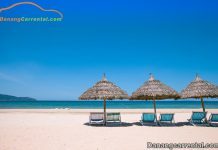 If visitors have more freetime, Visitors can stop at Hai Van Pass – one of most beautiful pass in the world, Lang Co Bay – one of most beautiful bays in the world and luxury resorts in Lang Co. Visitor can ask driver to stop to take a picture and take a rest.